Nokia Officially launched , Nokia Lumia 925 and Lumia 625 in INDIA today . The handsets are already available in the world’s major markets and finally India got it too . Android based smartphones are growing day by day but still there are billions of people that faith in Nokia’s Lumia smartphones that are powered by Microsoft’s Windows Phones OS . Nokia Lumia 925 and Lumia 625 comes with price tag of RS 33,499 and 19,999 . Right now both the devices are running on Windows Phone 8 OS and Nokia Lumia 925 will have Amber update in future . Well all this official took place in Launch Event at New Delhi . 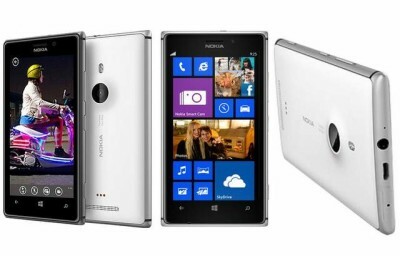 The Lumia-925 features a 4.5inch (1280*768 pixels resolution ) Super AMOLED capacitive touch screen clear black display . The device is surrounded by Metal Frame around the body . To boost the gaming performance it has 1GB of RAM . 4.5inch ( 1280 x768 pixels ) Super Amoled + Pure motion display . 1.5GHZ dual core Qualcomm Snapdragon processor , 1GB of RAM . Windows Phone 8operating system with Amber update in future . 200mAH battery + wireless charging support . 16GB ROM ( internal memory ) . 3G HSPA+ , WIFI 802.11 b/g/n , GPS with aGPS , NFC , Bluetooth 3.1 , FM radio . 3.5mm audio jack , noise cancellation , iHF speaker , 2 microphones . 8.7Megapixel rear Autofocus camera with OIS ( optical image stabilizer ) , AF , Dual LED flash , 1.2MP front facing camera . Full HD 1080p recording and playback . 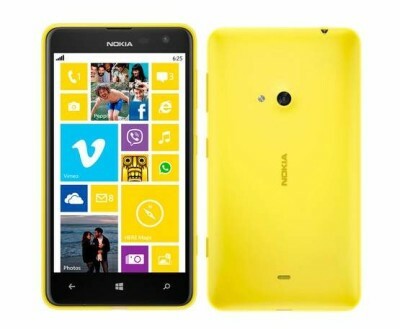 Nokia Lumia 625 price is RS 19999 . This also runs on Windows Phone 8 OS . It is powered by 1.2GHZ dual core Processor integrated with 512MB of RAM . It packs with 5MP rear Auto Focus camera with LED flash and 0.3MP front facing camera with video call support . the device comes with lots of Free stuff to make it more approachable to the user . To attract the customers Nokia 625 also comes with up to 10GB data access for 3Months to Ozone WIFI zones in India . You can Buy Nokia Lumia 625 from Flipkart . 1.2GHZ dual core Qualcomm Snapdragon S4 plus CPU , 512MB RAM . 8GB internal memory , Expandable up-to 64GB . 3G HSPA+ , 2G , WIFI 802.11b/g/n , Bluetooth v4.0 LE , GPS / aGPS , A-GPS + GLONASS , 3.55 mm audio jack , micro usb port . 5MP rear auto focus camera with LED flash and 0.3front facing camera for video calling .